DESCRIPTION: Mars Hardware features lightweight yet highly functional stands and simple but sturdy ..
A double-chain pedal full of the modern features that you expect. 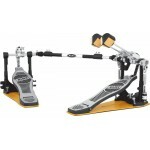 The P980A drum pedal features a.. Speed and power without the bulk. 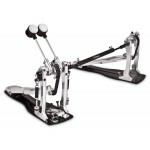 Raptor double pedal has a smaller footprint allowing for better..
Mapex quality double at a phenomenal low price. 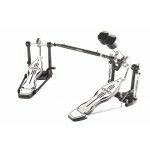 The Mapex P710TW pedal takes the entry level peda.. Your pedal not only gives a real beating--it takes one, too. Studies show it's the most frequently r..